Thomas C. knew something was wrong. For weeks, he had been bracing himself. But sitting in the doctor’s office, he was greeted with devastating news: He had cancer. The next several months were tough, a round of surgery and chemo, hospital stays and tearful visits with family. But one bright spot emerged: the Make a Wish Foundation®. Thomas’s doctor had referred him to this national nonprofit organization, which grants wishes to help children find the hope they need to transform their illnesses into life-affirming triumphs. After excitedly applying, 17-year-old Thomas, a senior at San Clemente High School, awoke this time to wonderful news: The foundation was granting his wish for flying lessons to get his pilot’s license. Thomas is not alone. More than 3,500 children have been granted their dream through the Orange County Make a Wish Foundation. Formed in 1983, this nonprofit reaches out to children between the ages of 2 ½ to 18 who are confronting life-threatening medical conditions. With a goal of enriching the human experience with hope, strength, and joy, wishes range from vacations to becoming a super hero for a day. For children who may not have experienced joy lately, they can pick practically anything their imagination can dream up (with certain constraints). For example, Maxwell A., a nine-year-old San Clemente native, chose to go to the Bahamas. Max was diagnosed with pediatric multiple sclerosis in February of 2008. His parents were shocked. Fast forward a few months, and Max received a card in the mail, asking him to “get ready to explore your imagination and get ready to make a wish.” The decision was easy. Max had seen television commercials for an internationally renowned water park located in the Bahamas – and recognized as the “coolest water park in the world.” The entire family – Max, his parents and his younger brother Wyatt – headed off for a luxurious four-day adventure, including swimming with dolphins, endless trips down waterslides and a stay at a luxury hotel. Not a single detail was ignored. “Yeah, it was really cool,” said Max. For Nick W., diagnosed with leukemia in December 2008, his dream was to be a Legomaster (a person who builds the official statues in Legoland). Nick’s passion for Legos started when he was in the hospital and his visitors would bring Legos and spread them on his bed to entertain him. Soon the Legos were what got him through the difficult days. On Nick’s wish day, with the help of an official Legomaster, Nick constructed two statues of himself, purely fashioned out of Legos. Told he could select anywhere in the Lego City to put his figurine, Nick choose the White House in Washington D.C. – a place he apparently wanted to visit himself. Why? “Because I wanted to,” seven-year-old Nick said. Not just for children with terminal illness, the foundation offers wishes to any child facing a life-threatening condition. 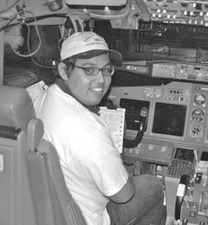 Having logged more than 1,000 hours on a flight simulator, Thomas picked up flying fast. He flew out of John Wayne Airport with a teacher in tow, once per week for four months – putting him well on track to the 40 hours needed to be a licensed pilot. “It was everything I expected,” Thomas declared. “I felt I was in the right place.” He hopes to “pay back his wish” by charity flying: flying doctors to international areas in need. For more information or to donate, please visit their website at www.wishoc.org or call (714)573-9474. 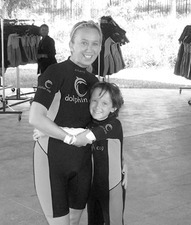 The foundation is always seeking volunteers to make kids’ wishes come true.